The Canadian Association of Radiologists (CAR) is the national specialty society for radiologists in Canada. We are committed to promoting the highest standards of patient care, lifelong learning, research, and helping radiologists contribute to the very best health care for patients. Is to be the national voice for medical imaging excellence in patient care. The CAR is the national authority and political voice of radiologists speaking to governments, industry, healthcare authorities, provincial and international radiology organizations and other specialty societies on matters of radiology training, research, manpower, licensing, accreditation, standards and future trends in radiology. The CAR is a strong organization with universal membership providing a unified, guiding, respected voice for all Canadian radiologists and the practice of radiology in Canada. 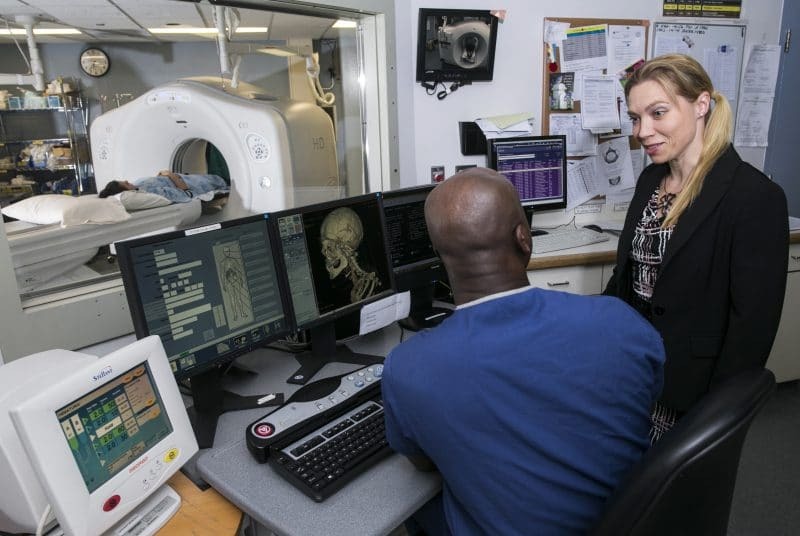 Emphasizing appropriate, safe and cost-efficient quality care, the CAR is the preferred source of best practice information for radiologists, government, industry, healthcare authorities and the public. The CAR actively disseminates best practices by creating and maintaining guidelines, standards and advisories and promoting continuing education for radiologists, other physicians, healthcare workers, healthcare policy makers and the public. The CAR anticipates changes in radiology, technology, healthcare and related fields, predicts impact and pre-emptively acts to best address and shape change. In this way, the CAR undertakes to directly influence the future of the radiology profession in Canada and to be a leader in radiology on the global stage. We work with governments, health professionals and technology leaders to make optimal use of medical imaging. Our goal is to ensure the right tests are performed on patients at the right time. We also serve as the voice of Canadian radiology so that governments, the public and news media are fully informed about the benefits and risks of medical imaging, the challenges we face and the solutions we propose. We create, accredit and promote opportunities for continuing medical education and research, helping radiologists stay at the leading edge of medical imaging healthcare.